Hey guys, I’m Chloe! I’m obsessed with light, love and family. I would love to say tons of neat and interesting things about me but really...I’m just your girl next door with big dreams. But that’s cool too, right? My idea of a good time is hiking and exploring nature with my family. There is something that awakens in us when we discover a new area to explore, we lose sight of the rest of the day. We are dreaming of traveling and shooting in the future so we can explore the world with our kiddos. When I’m not exploring I’m home playing with my little ones with a cup of coffee and more than likely have Parenthood on the television for background music. I was definitely soft-spoken growing up and I love how photography and the community that comes along with it has forced me to come out of my shell! Never in a million years would I have imagined as a child that I would have my own business and I do believe that that is one of my reasons why I keep convincing myself to continue this journey. My kids are my inspiration and I want to show them that they can do anything they set their mind to, I want them to believe in themselves with all of my heart! I have had several moments of doubt in myself but have always turned to my family for inspiration. My love for my family has spilled into my work in the loveliest of ways. I can’t imagine any other genre of art for me. I started shooting four years ago and originally picked up a camera as a love-drunk new Mom - only wanting to document my baby’s first year. I quickly fell in love and became obsessed. I think I realized then and there that I didn’t want to just capture portraits of my child but I wanted to learn how to tell his story, our story. Soon I had friends asking for family pictures so I practiced on them for a while, but struggled to capture them naturally. It wasn’t clicking. I desperately wanted to tell THEIR story. At this point I didn’t follow any photographers online, I was completely oblivious to the fact that there was a whole community to be discovered. I was determined to get the hang of natural family interaction in my practice shoots and didn’t have any inspiration or guidance, I just set up free shoots for my own fun for the longest time. Too many free shoots haha! Just for laughs, if I’m remembering correctly the first time I was paid for a shoot I was paid in a gift card to one of my favorite restaurants. Shortly after this start up period in my career I discovered Sarah-Beth Photography and joined her online mentoring group and I will always credit the turning point she and all of the talented ladies in that group led me to in my journey, whether they know it or not! I joined in the midst of struggling to find my voice and left because I started mentoring other photographers. I fell in love with the art of un-posing and story telling. When I photograph a family I photograph them through the Mother’s eyes. When viewers see my images I want them to feel that love. The way a toddler pushes their hair out of their face, the awkward stage between being a child and a teen, the way a child shys away from the camera to begin with. I thrive on details and imperfection and love to find ways to orchestrate the two with beautiful light. Because of my love for real moments my sessions are often children-led. 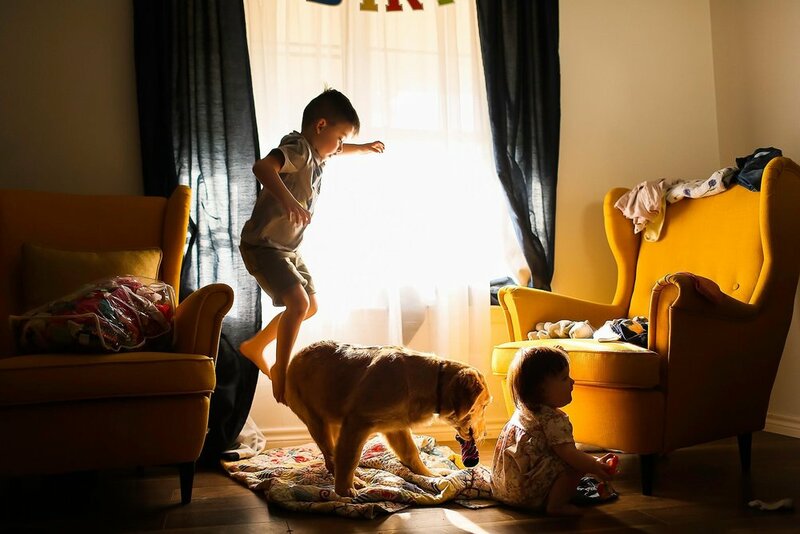 I do set up poses but I do this in hopes to photograph them as they unravel naturally and then let the kids take the lead and that is usually where the magic happens. It’s never predicted and I think that is what gives me butterflies before every shoot. 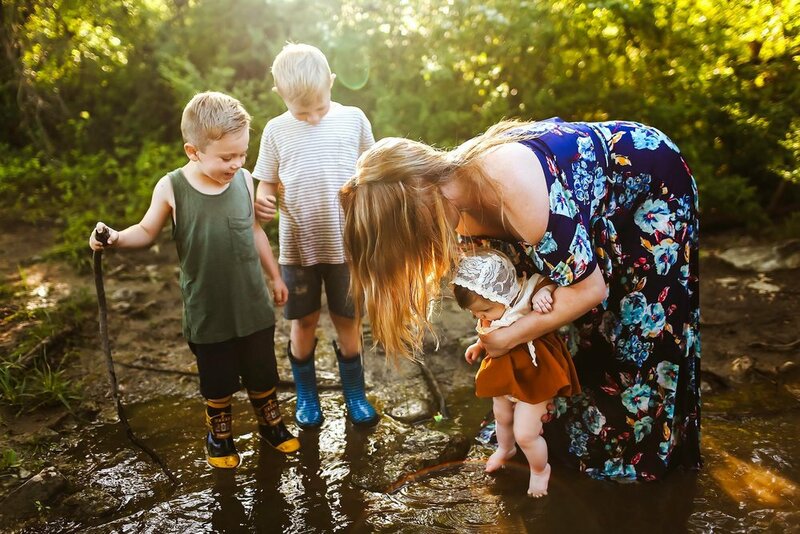 The tender moments and whimsy families share with me when they feel comfortable enough to let loose and simply be themselves in front of me always feels like a gift in itself. It just happens to be my job as well. If I had to describe my work in 3 words I would choose: Whimsical. Connection. Organic. I shoot with a Canon Mark iii and primarily use a Canon 35 1.4L but also use a Canon 28mm, I jokingly call this the broke girls 24mm because I purchased it when I couldn’t afford the 24, but have created some of my most favorite images with it! I also own a Canon 50 1.4. And I’m also itching to purchase an 85 soon! I’ve definitely been falling in love with the dream-like feel compression can bring to images lately. My biggest goal for the future is to branch out and travel and shoot. Nature is my second biggest inspiration. 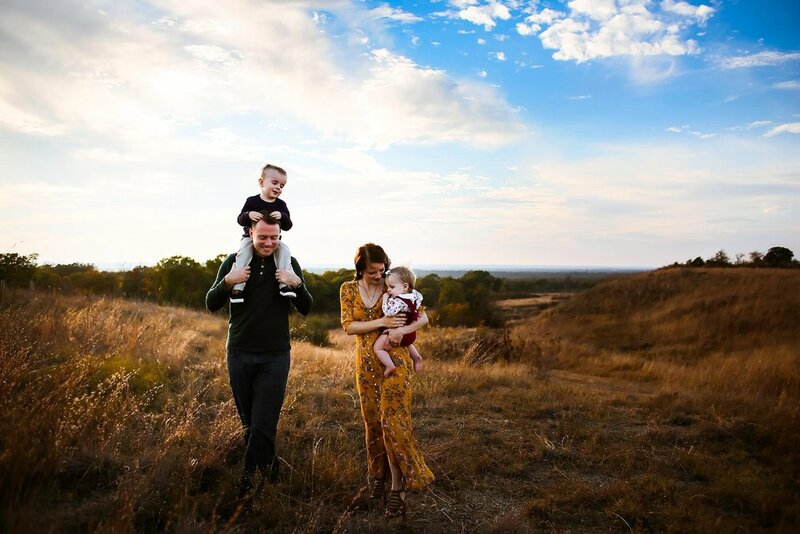 I know there are so many beautiful places to be discovered outside the boundaries of Texas and I am so fortunate that my love for family photography and my love for nature go hand in hand.